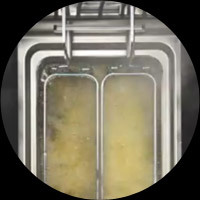 The revolutionary superfry 2.0 combines performance, efficiency, functionality like no other open-pot fryer on the market, with a special eye on the design that distinguishes the Italian style in the world. 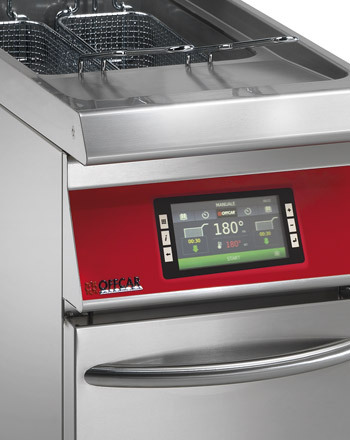 The high efficiency heating system and the ECO mode guarantee the ideal yield ratio between consumed energy and output of cooked product, with significant economic savings. 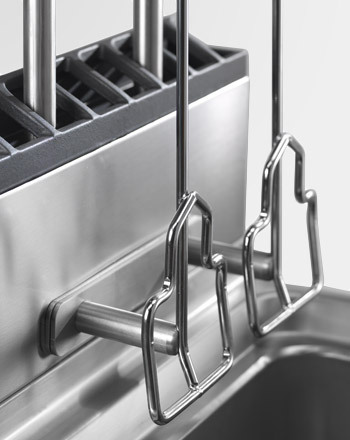 Powerful and performant frayer, recognized and distinguished by design, functionality and performance with AISI 304 stainless steel supports completely removable and washable in dishwasher. 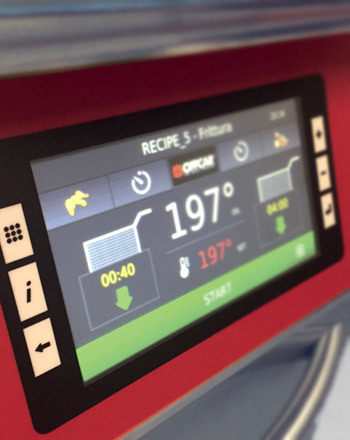 Intuitive touch control 5” touchscreen display with color graphics interface and interactive icons. 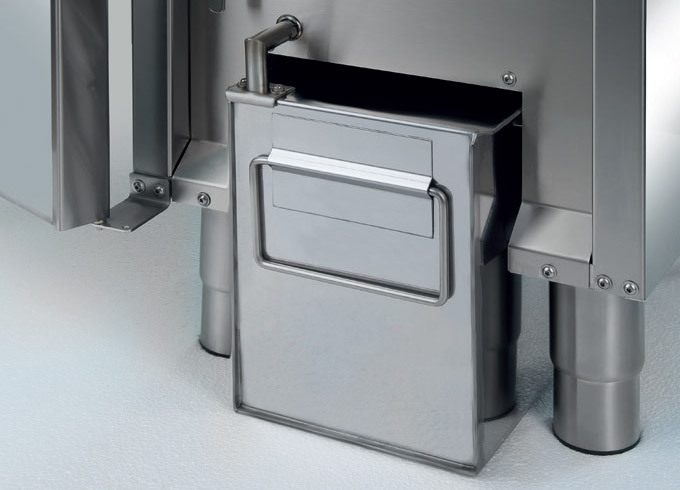 AISI 304 stainless steel supports completely removable and washable in dishwasher. 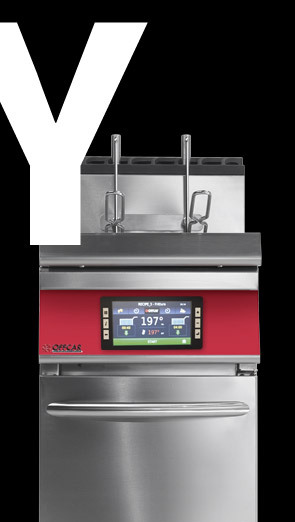 Up to 20 programs / recipes configurable and customizables according to time-temperature, directly connected to the automatic lift system. 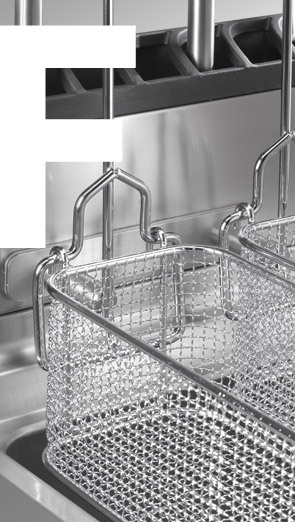 Automatic and independent lifters of the baskets AISI 304 stainless steel supports completely removable and washable in dishwasher. 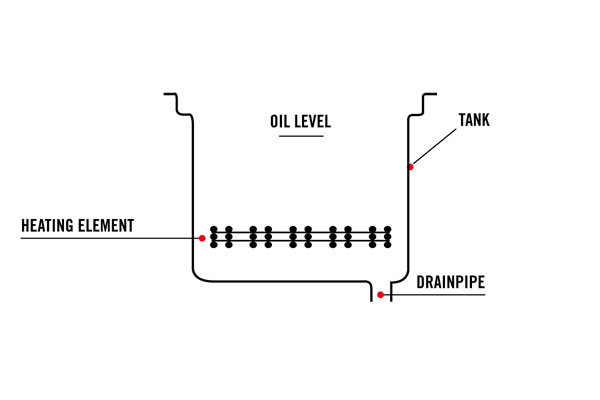 Oil quality visualization of the life cycle via software. 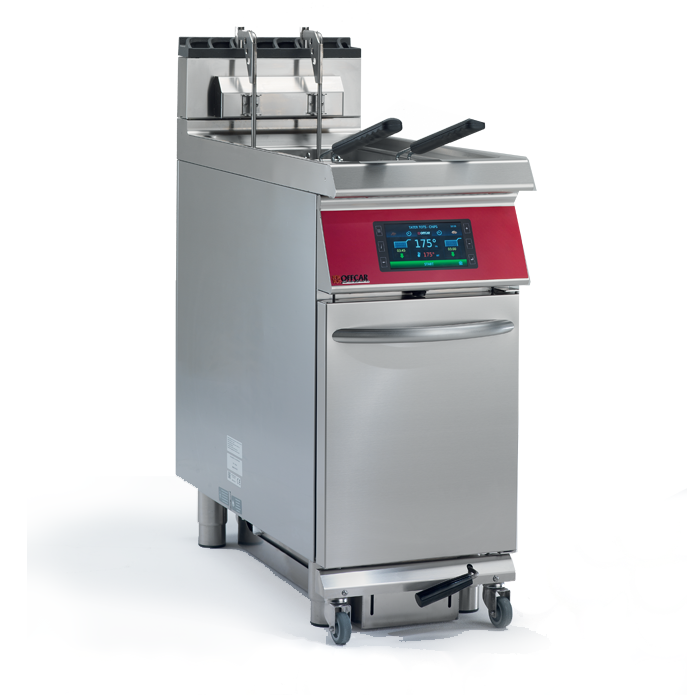 High production per hour, 30kg of french fryes instead of 22 of a standard electronic fryer, this means 8kg production extra every hour. 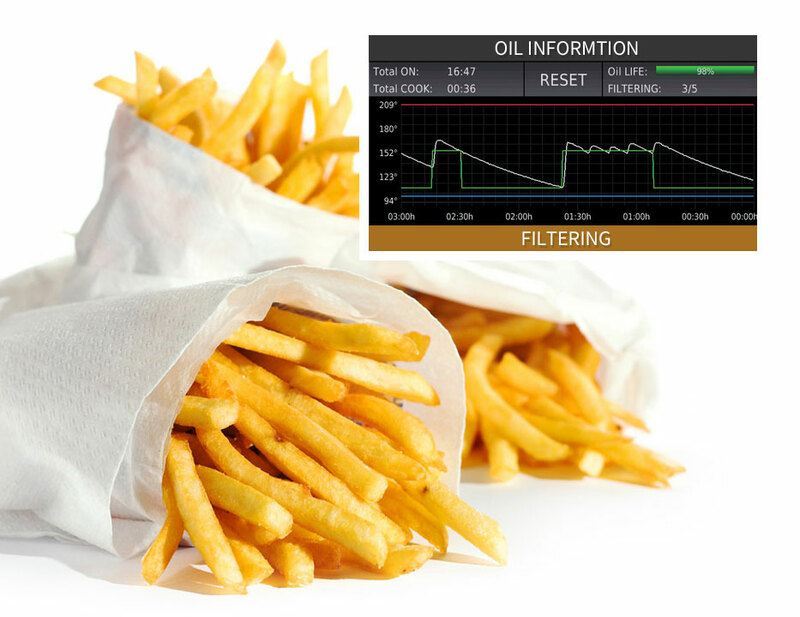 The filter system, fully integrated inside the machine, allows to filter the oil in less than 4 minutes and return to fry at the set point temperature. 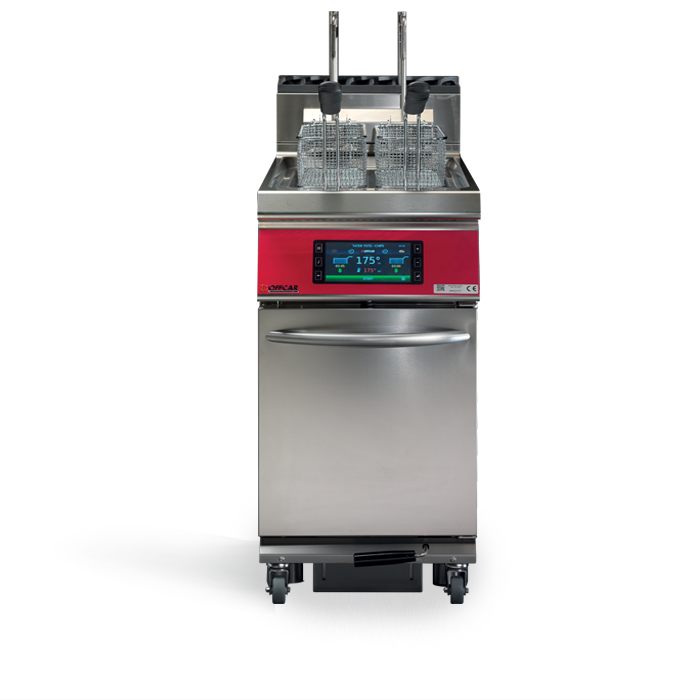 Combustion system “PREMIX” with automatic modulation of power during start-up and in reaching the set-point temperature, for maximum efficiency with lower power consumption and lower emissions. 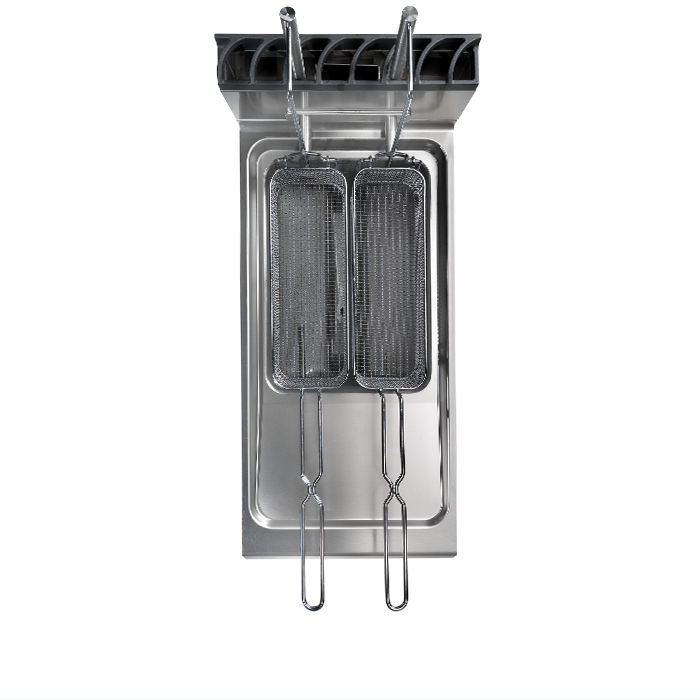 MELTING function for gradual melting of the solid or liquid fats avoiding heat stress. 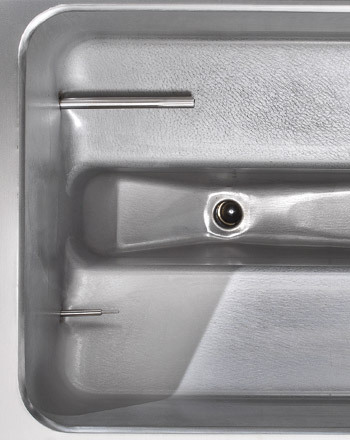 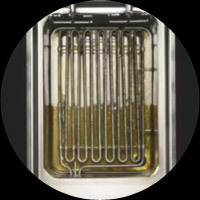 Through system of sheathed tubular heating elements internal to the tank (yield 100%), 90 ° rotating by external leverage to easy clean the tank. 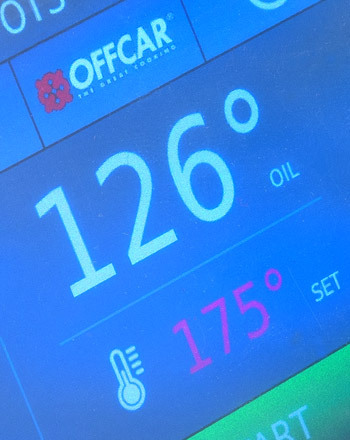 Temperature control by a temperature probe placed inside the tank to obtain a precise and rapid reading of the thermal variations and to ensure a high yield while it mantains a considerable energy saving. 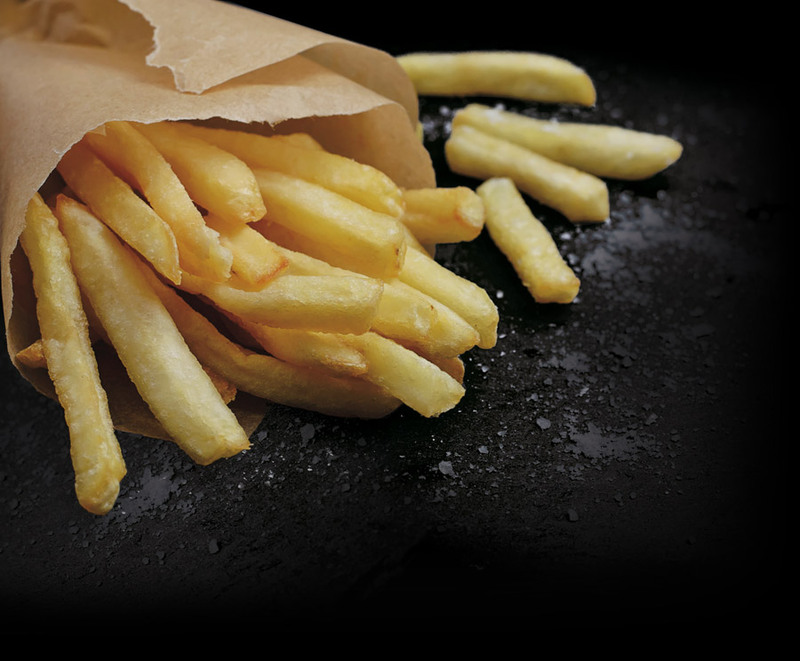 Regular filtering is the key to extend oil life and ensure a high-quality fried product. 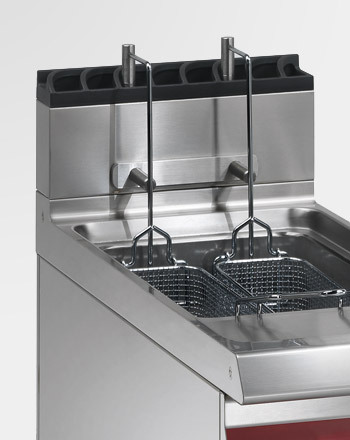 Located inside the fryer and equipped with removable and washable filter. 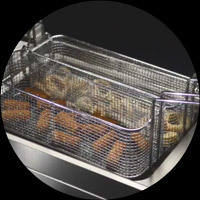 High production per hour, 30kg of french fryes instead of 22 of a standard electronic fryer, this means 8kg production extra every hour. 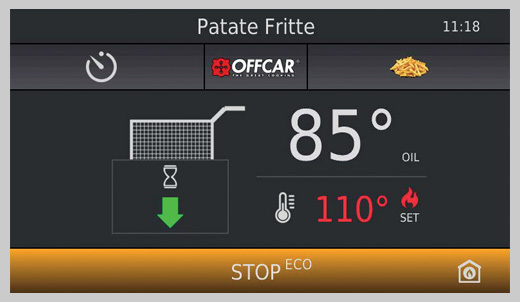 5” touchscreen display with color graphics interface and interactive icons. 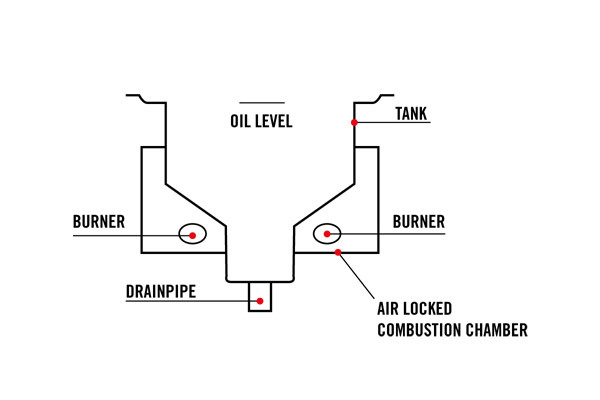 Quick access to common functions and commands. 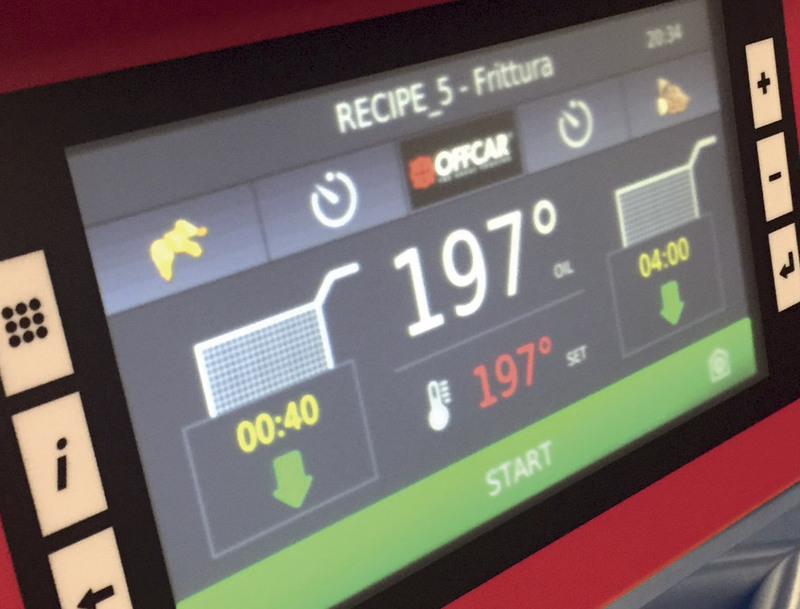 Well-organized interface for finding different tools and options. 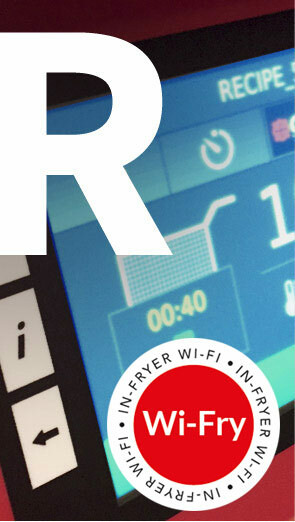 Using standard symbols and icons. 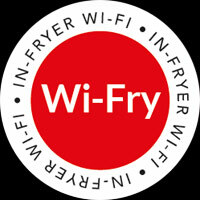 Selectable options with multiple access routes.